Garage doors have been around for a good while now, and many innovations have made them incredibly convenient. IN fact, most garage doors work so well, you don’t even notice them anymore; you just raise and lower them as you go through your week. It’s only when these great mechanisms break down that a lot of people realize that their garage door isn’t just a convenience; it’s a security measure. A garage door that opens by itself or won’t close at all can be a big risk to anyone’s property. At A&H Garage Door Services, we serve the residential garage doors of Benton County and beyond. Sometimes, we are amazed at how long people wait to come to us for help. It’s like they don’t realize their garage doors are sending out warning signals until the garage doors fail. 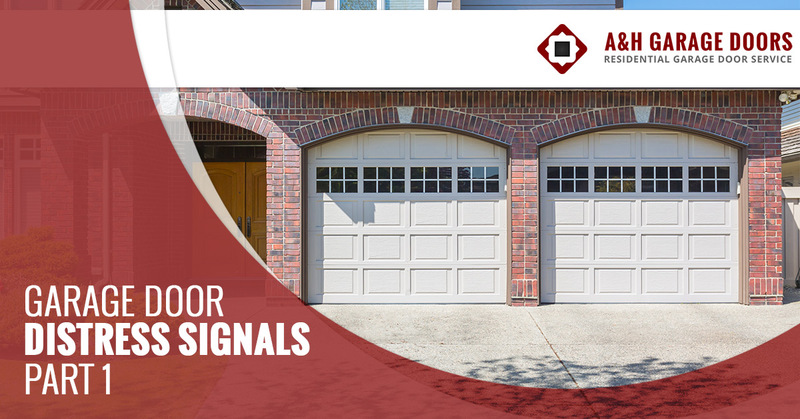 In today’s blog, we want to share some of the warning signals your garage door will give you so you don’t get caught unawares! A happy garage door will respond a second or two after you give it a command with a remote or a wired button. It should open or close smoothly and without any hitches. If you have to push the button multiple times to get a response or the garage door moves much more slowly than usual, it’s time to give us a call. Chances are good something is wrong with the door opener or the door itself. The door has come off the tracks. This one usually gets people to give us a call, but it’s worth mentioning. Old garage doors or doors that have been damaged are especially susceptible to track malfunctions. You will be able to see the malfunction, and the door probably won’t even move. This is definitely a moment in which to give us a call! It’s much more noisy than usual. You may have grown up with noisy garage doors, but modern doors are very quiet. Any major clanking or screeching you hear is the result of worn-down rollers, loose hardware, or a damaged door opener. If your door starts making odd noises while still functioning, it can be tempting to just ignore the noise. Don’t do this. Go ahead and give us a call. It is likely you have a major issue brewing that we can quickly fix before it gets too expensive. We leverage style and function to make sure you get the garage door that will serve you well for years to come. 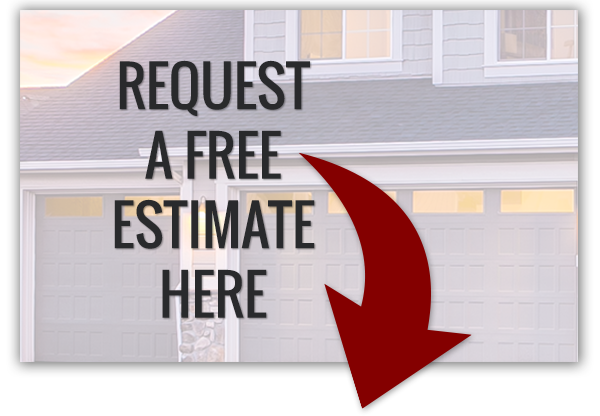 Our experience ensures that your garage door will be installed right the first time. Whatever the reason may be for needing a new garage door, we are the team to turn to. We will always treat your property with respect and ensure you get exactly what you need. Garage door springs take a lot of wear and tear. Replacing them is dangerous and should be done by a professional. We can safely make sure your garage door is balanced so that it functions dependably for years to come. You can extend the life of your garage door by caring for it well, but no mechanical parts were made to last forever. You don’t want your vehicle to get stuck inside or outside your garage because you neglected to get simple issues resolved. You also don’t have to worry about your garage gaping open overnight, which can be a big risk to your property. Lastly, a malfunctioning garage door can create dangerous accidents. Don’t let this happen. Contact our team in Benton County and beyond today!